The Swedish Overkill Software company has presented another Payday 2 update for the PC version of the game. It must be noted that new content is available for veteran players with the 100th game’s level and minimum $200 million of in-game currency on their accounts. The Payday 2 update allows getting the “Infamous” status, but in this case the character loses all the game’s progress, including acquired skills and money. He receives 14 specials cards as a proof of being a professional instead. While obtaining the next level, the player is granted with infamous points and additional cards, which he can use for improving already existing skills or learning the new ones. Currently there’s only one level of the infamous skills available in the Payday 2 game, but according to Overkill Software, other four of them are going to be released very soon. Together with the Payday 2 update, some new content will also be added to the game: guns, modes, masks and materials. As for the purchases, that have been already made before the update, the players will get access to them as soon as they achieve an appropriate level. And here’s more good news: the Payday 2 update is available for absolutely free download. 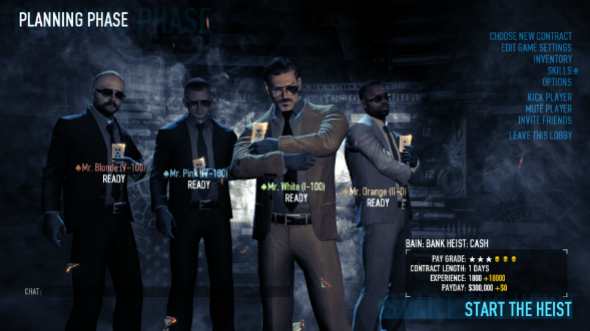 The Payday 2 game was released in August 2013. It’s a sequel of the famous cooperative first-person shooter - Payday: The Heist of 2011.